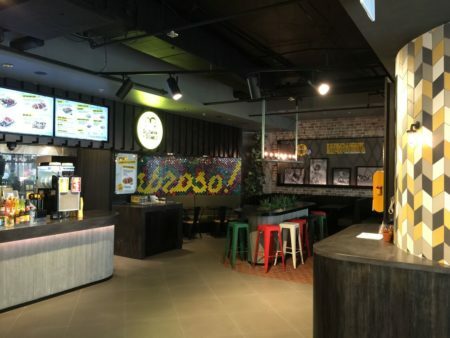 Karen Reid from Surface Studio has played an important role behind the scenes in bringing to life the authentic Mexican look across the Guzman y Gomez chain of fast food restaurants. 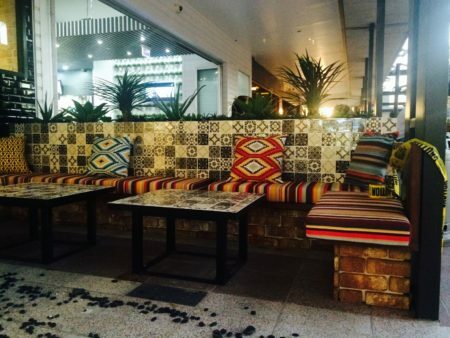 The beautiful custom made Mexican tiles are sourced exclusively by Karen in consultation with Brad Ward Design. “Karen delivers a level of personal service that I simply can’t get anywhere else – she has an eye for detail and can be relied on to source unique things that have never been seen before,” commented Brad. With unrivalled dedication, attention to detail, and a passion for tiles, Karen meticulously oversees every tile selected, a task that has seen her personally jump on a plane to Mexico to ensure a supplier is delivering to her exact standards. 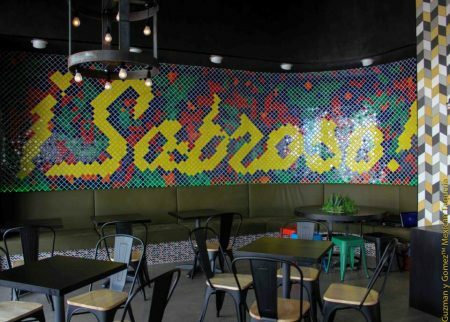 The Mexican tiles commissioned by Surface Studio include rich vivid colours and striking designs that have been applied beyond the usual floors, walls and kitchens. Applications have to date extended to special design features, front counters, columns, outside facades – even planter boxes and tabletops.